Your message will be sent directly to Mike Martinkus. We do our best to be timely, so thank you for your patience while your correspondence is answered and returned. 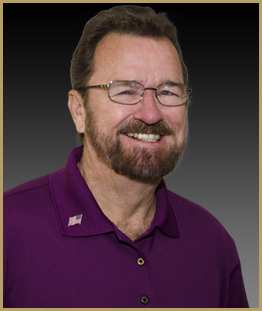 Mike began his career in RVs in 1973 as a Parts Manager, and has now worked in almost every position available in an RV dealership. Known for many years as “the Blue Bird Wanderlodge Man,” he specialized in selling the Wanderlodge by Blue Bird. Retirement did not fit his taste in lifestyle, so he came to MOT to help write articles and coach descriptions for the new website. A native of Garland, Texas, he has 3 daughters and 7 grandchildren.Mike holds a Pilot's license, a PADI dive license, and has a full woodworking shop in his home in Douglasville, Georgia. "We would like to thank all the staff at MOT on the service we received in a short time. Before we even purchased the coach, MOT let us stay the night for extra time. We were so blessed that the coach had a full tank of gas, propane, and supplies, new power adapter and hose. Big thanks to Mike for pictures, Jason for all his understanding, Judy for making our stay like home, and to all the maintenance and parts crew for all their hard work. We will be back."